Tuck Alumni Club in Japan consists of 200+ current members. 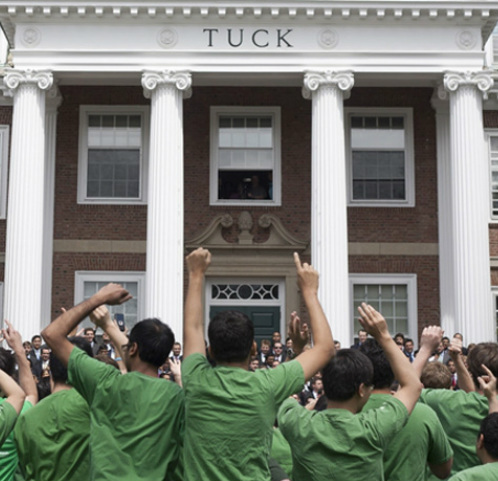 The club works to foster professional/private interactions among its members, assists Tuck to increase its exposure in Japan and promotes Japanese culture at Tuck and the wider Dartmouth community. The activities that the club hosted or was involved in the past include: annual convention for all club members, information session for prospective students, welcome dinner for admitted students, and Japan Trek for current Tuck students. The club is actively working to increase its activities and members involved in cooperation with the Dartmouth College Alumni Club of Japan. 60 Tuckies (T'15s and TP15s) spent time in Japan during March 13-21, 2014. The trip was organized by "Ken & the Angels" in association with Michi Travel Japan.